about issues critical to the welfare of the animals we love. 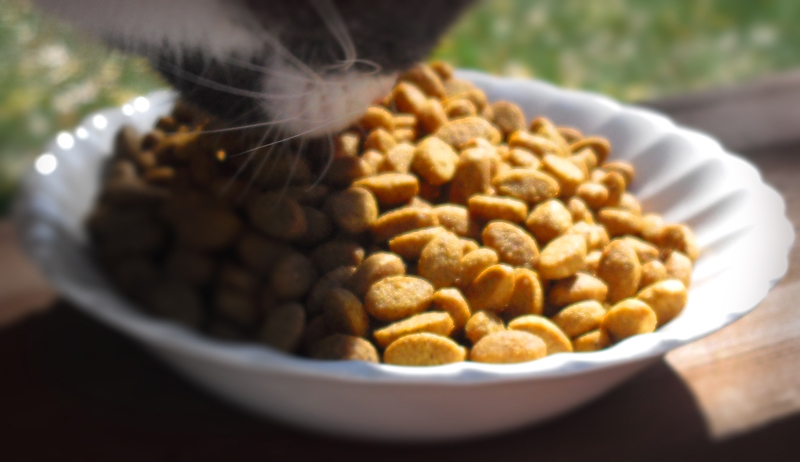 This special Monday Medical post is about the worrisome increase in pet food recalls over the past year. 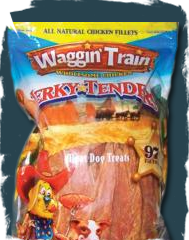 As of May, 2012, the FDA had received nearly 1,000 reports of illnesses and/or deaths of dogs who had consumed chicken jerky treats made in China. As of July, 2012, 47 people in 20 U.S. states (plus 2 in Canada) had suffered salmonella poisoning traced back to the handling of dry pet food made in the USA. 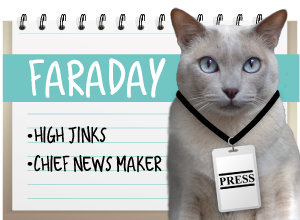 I’ve been sitting back and reading about the vast number of pet food and pet treat recalls over the past year, but haven’t really done anything to address it on this blog, mainly because of the vast amount of exposure it's had on other blogs. I didn't feel I could add much to the conversation until now. But a few weeks ago some information was dropped into my lap by a radiation physicist. Here’s what I was told. 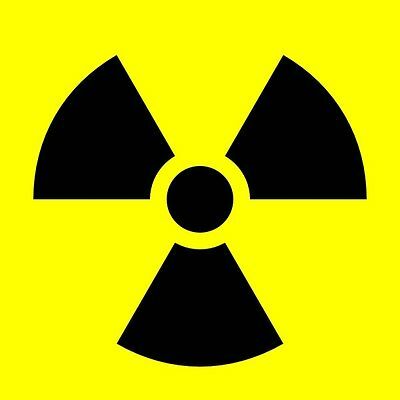 The FDA imposes a limit on the amount of radiation human-grade food items may be given. It also imposes a limit on the amount of radiation given to animal feed – and pet food comes under those guidelines. In general, the FDA allows a much lower dose of radiation to kill harmful bacteria on human grade food than it does for pet food. For example, raw fruits and vegetables are allowed a maximum of 1 kiloGray of radiation to kill bacteria, but the amount increases five-fold for raw eggs. 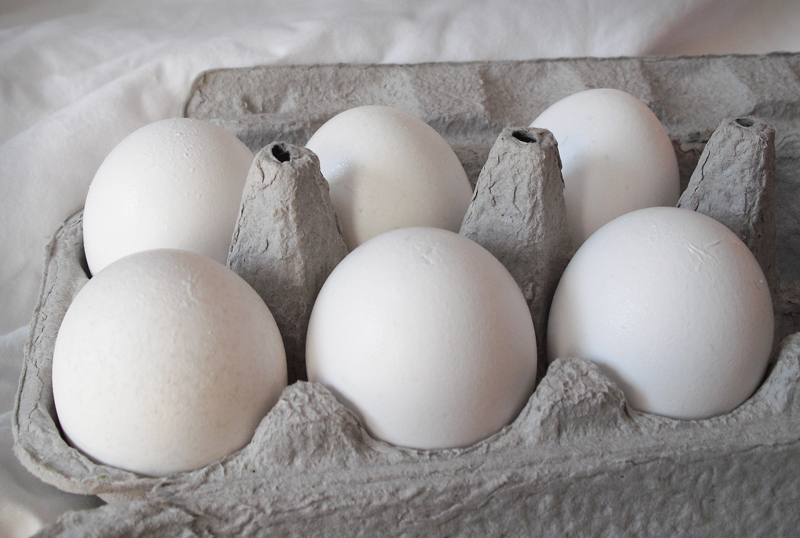 Given that eggs pose a salmonella risk, that’s understandable. Frozen raw meat is allowed a bit more than eggs - 7 kGy. And again, given that there are between6 and 33 million illnesses a year in the U.S. alone1 due to microbial pathogens found in raw meats, that completely makes sense. Yet pet food is allowed 50 kiloGray. That's ten times the FDA limit for raw eggs. If you read any label, you’ll see pet food ingredients come from the same sources as ours: meats, grains, vegetables, fruits. So why would pet food be allowed ten times the radiation as raw eggs and fifty times the radiation for raw vegetables? These are significantly higher levels. The answer simply is that food is split into two categories: human grade food, and food not fit for human consumption. The husband of an associate of mine grew up on a ranch in the Midwest U.S., and he tells a story about where their sickly and deceased animals were sent. You guessed it: the pet food plant. He said there would often be days that passed between the time they notified the pet food plant about the dead animal’s carcass and the time workers at the plant arrived to pick it up. During that time, the carcass remained exposed to the elements. That could mean high temperatures, insects – plenty of opportunity for decay and bacteria growth. Fifty kiloGray. One can understand the need for a higher amount of radiation after hearing the rancher’s tale. But given the rash of recalls in 2012 alone, even that doesn’t seem to be working so well, does it? To be fair, yes, animals can handle eating things we can’t, but a cat killing a mouse and then eating it, bones and all – well, that’s a fresh kill. There's little chance for bacteria to become an issue. After reading all this, I was very glad for the decisions I’d made regarding what our cats eat. Of the three brands of cat food served in our home, one uses human grade ingredients and another requires that its farmers and suppliers provide Letters of Guaranty stating that their meats and produce are fresh and unadulterated. 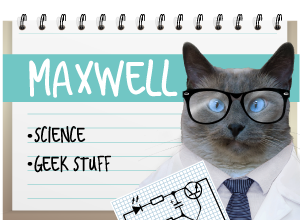 The third brand has very strict protocols in place and rigorously tests for salmonella and E. coli (though to be honest, I am trying to wean a certain kitty – yes, Maxwell, I’m looking at you! – off this third one). I understand that price can prohibit some from switching over like I have. I only have the three cats, but I know several people who rescue and/or foster animals for whom the premium pet food might be too expensive. But I have to admit, I was intrigued to see the post by Whisppy showing how they make their own dried chicken jerky treats right in their home. So I did a little research on what it might take to make pet food – and how that might impact our budget. That’s fodder for another post (ouch, kind of a bad pun there, wasn't it?). But I can tell you that when we ran the numbers, the cost of homemade pet food looked pretty promising. Please…tell us what you think on this issue. Are you concerned about the quality of pet foods in the U.S. and do you think the number of recalls this year is cause for alarm? You’ll notice in the table below that there are two human-grade food items that exceed the 5-7 kGy limit, and those are spices and astronaut food. We figure NASA’s got a lot of special reasons for wanting their food to be especially sterile, so we’re counting that out of this discussion. But we find it interesting that the FDA allows 30 kGy for spices, due to the extremely high incidence of molds and other bacteria found in them – especially those coming from countries known to have a higher level of contaminants. In fact, spices are so easily contaminated that doctors will tell patients who are undergoing stem cell transplants to avoid all spices before, during and for a period after treatment, to protect them while their immune systems are weakened. Table 6.2. Foods Permitted to be Irradiated Under FDA's Regulations (21 CFR 179.26). 0.3 kGy min. to 1 kGy max. Absorbed dose: Not to exceed 50 kiloGrays. Feeds and feed ingredients treated by irradiation should be formulated to account for nutritional loss. 1 Ahn, D. U., Jo, C., Olson, D.G. “Analysis of volatile components and the sensory characteristics of irradiated raw pork.”p. 209-215. The sad thing is, that what we do to protect ourselves or our pets from disease is often making us sicker than the disease ever would. My answer would be yes. The quality of pet food was a huge motivation for me to start cooking and making home made treats for the furries (it wasn't easy, as I don't like to cook). They still get high quality kibbles for breakfast. Switching the kids over to home cooked food can be very frustrating...especially when it comes to cats. A friend of mine took ONE WHOLE YEAR to finally get her cat to switch. Have you noticed how some "chicken jerky" treats from China look like it's silicon? Creepy. So very interesting about the radiation. i hadn't heard that. I found I saved a lot of money making my own food for The Crew. Unfortunately I don't have the constitution to make it and after about a year of doing so I would get sick at the thought of it. So we buy raw instead. I occasionally get out the grinder and make a batch and I always end up wishing I could do it more often.. There is a lot of good information in this post. My question, how does eating radiated (is that even a word?) food, work in our bodies? Is there concern for contamination? We feed raw and I'm not sure what the requirements for that are. Thanks for asking - and thanks for visiting! That's a very good question, and I'll do my best to answer, but if anything I say is at all confusing, please shout out. Radiation of this type breaks molecular bonds. What that means is that it can cause cell death in things that are exposed to it. Which is a good thing when we're talking about harmful microbes, pathogens, bacteria - stuff that can cause disease. But irradiating food does not make it radioactive. It can have a slight negative effect on the nutrients *in* the food, however. For instance, at the maximum dose of radiation allowed (3 kGy) raw chicken will lose 6% of the vitamin E normally found in raw chicken. Studies have concluded that irradiating food is no more harmful than any other food preservation process, however there may be cause for concern about the containers the food is irradiated *in*. For instance, some plastic containers can release toxins when exposed to radiation. It's a complex issue for sure, but if you're worried about the food you eat, the FDA mandates that all irradiated food include that information in its labeling. An interesting aside about "not harmful". We hear about lactose intolerant people but for centuries people drank milk. The change came after we started feeding cows garbage and then pasturizing the milk so that we wouldn't get sick from drinking it. Now lots of people cannot tolerate milk. The woman can take raw milk, but will get a lot of digestive upsets (the woman) if she drinks pasturized milk. Further, we've had Ichiro drinking raw milk from kittenhood and he's never had a problem with it, although cats are supposed to be unable to digest milk. Okay, the analogy there: this is only high heat pasturization/sterilization. How much more does radiation change stuff? We are not going to eat anything irratdiated if we can avoid it. And now it's in MILK? We drink rBST-free or organic at all times. Yes it did help and thank you very much! This is very very interesting. I've tried the high quality food with Mario and he turns his nose up at it. I've tried 3 times now to switch him and he just refuses to eat it. Short of making our own pet food, what can we do to get the industry to change? That's a hard question to answer. Any increase in regulation will surely drive prices up, so that's kind of a catch-22 situation. We were kind of surprised at how easy nutriitonal do-it-yourself cat food recipes were to make. The $10,000 question: what if we go to all the trouble of making it and no one LIKES it? I think we're going to try it, just out of curiosity if nothing else. This is interesting reading... and unsettling! Every time I do research into food, especially pet food, I always end up more confused than when I began. There is so much information - and misinformation - out there that I feel unless one is a scientist working in a lab, it's impossible to really understand what it is we are putting in our mouths. Thanks for all of this information. It's a lot to take in but I agree we do need to pay attention to these things and try to figure them out. Nothing is more important than our health, right? Great post and it only makes me feel so fortunate to be able to grow most of our own food. We garden organically and we - all of us - eat as natural as possible. We avoid additives - in our food, for our garden, etc. Good post today! Please let us see the portrait when done - Mom would like to feature it on our blog. Still waiting on word of Joey's tests. OMC! I'm a goner! We're on a fixed income but one of my foods uses human-grade cuts. Excellent! Wonderful info. Now, outside of home cooking I wonder what if any pet food is something we can give our pets without being afraid for them. Wonderful info! Our human reads everything for our food--and I'm glad she does too. Not everything is perfect, yet she tries! Hmmm, Mommy makes the hairy slobbery sister's dinners most of the time. They gets kibble though. Mommy is going to start looking for a kibble the doggies will eat that is if a higher quality and we tries hard to find treats not made in China. One of the sisters favorites is liver jerky and its made right here in Canada! Now us. 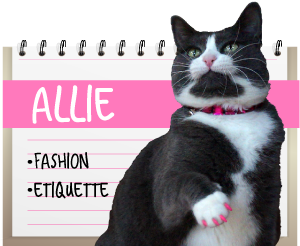 We heats tuna, crunchies and fancy feast and roast chicken! Wow... very interesting and thought-provoking post. These recalls are so frustrating and there's so much info to take in. Thanks for adding a new perspective to the discussion. I have noticed that the better the grade of the food I try to feed Spitty, the greater the chance he will not even take one bite :-( He likes the really high quality dry food but will only eat the junkier (Fancy Feast-type) wet food. HOWEVER, in light of his post-tutoring reawakened interest in eating, I may try buying some cans of The Good Stuff and seeing if he's changed his tune. Thank you for such a detailed post! My head is spinning. This makes me so angry and, at the same time, glad to be feeding our dogs food from The Honest Kitchen. It's human grade (made in a human food plant with far higher regulations), hormone free, and anti-biotic free. We switched because of the odd rise of human illness being found in animals - from cancers to diabetes. Like your research, we found the implications of grocery chain food disheartening. Knock on wood, our guys have been absolutely healthy in all the years we've had them. We beings are fed from the inside out. That's what makes me want only the best. 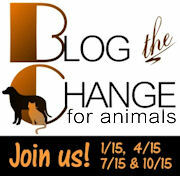 Thanks so much for Blogging the Change! Thanks for the accurate and detailed information. I also appreciate the science-based answer to the question about whether eating irradiated food is directly harmful. I'm not advocating for eating irradiated food necessarily, but I think people need to make choices based on facts. (Being a devil's advocate for a moment, let me say that pasteurized milk is the only way many people would have access to a safe milk supply. What I find scary is the rise in incidents of salmonella and E. coli poisoning in the human food supply right here in the first-world US.) Your point about the need to hyper-irradiate pet food is well taken, in that it indicates extremely low quality ingredients. I hope there is research being done on how that relates to the rise in cancers and other diseases in companion animals. OMC! Momma always knew they have way too low requirements when it comes to pet food, its like they don't care what happens to the animals. There are just too many humans out there that see us less than human and therefore less than to receive the same requirements regarding our food. Its really scary but momma has learned a lot about pet food and is always on the look out for better quality food for us. Health issues alone have shown vast improvement with human grade food properly prepared for us cats and dogs! Thanks for your pawsome post!